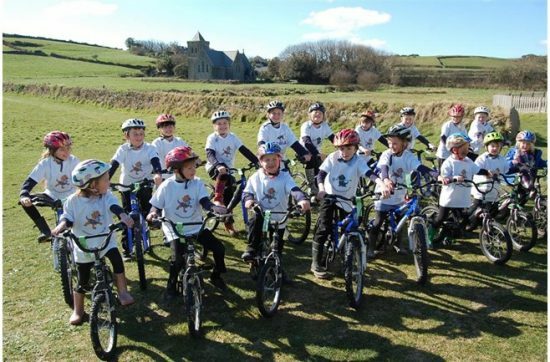 Read all about the amazing fundraising by Tresco & Bryher School including a 9-mile cycle ride around the Tresco island. 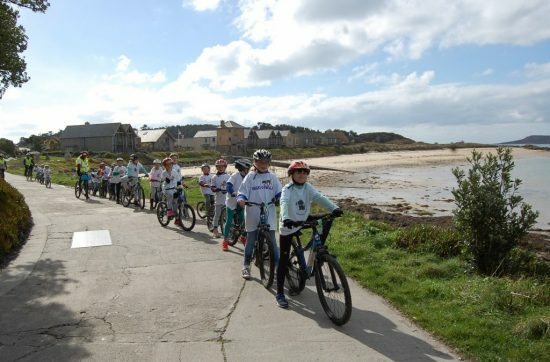 The students, staff and parents of Tresco and Bryher School, a remote island school with just 18 students aged 4-11 and based 30 miles off of the Cornwall coast, have been very busy doing some incredible fundraising to help us in our mission to transform the lives of people with disabilities! It all started on Friday 9 March with a cake sale held at the school, with delicious cakes on offer to pupils and staff. There’s no tastier way to raise funds! 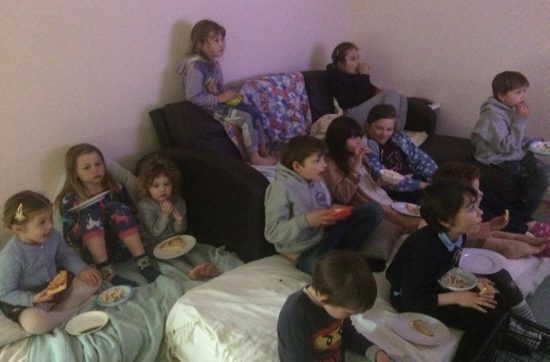 To celebrate their hard work, the school also hosted a film night with tuck shop sale profits being added to the donations. Popcorn was flowing and a lot of fun was had! 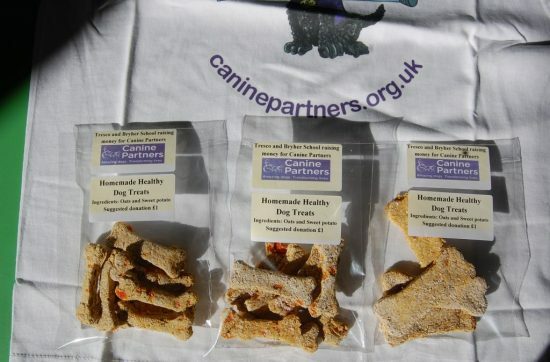 Thoughtfully, the students didn’t want their four-legged friends to miss out on the treats, so in an effort to raise even more funds, they baked some healthy homemade dog snacks to sell to dog owners across the Isles of Scilly. But that’s not all – the parents have also been mucking in too. 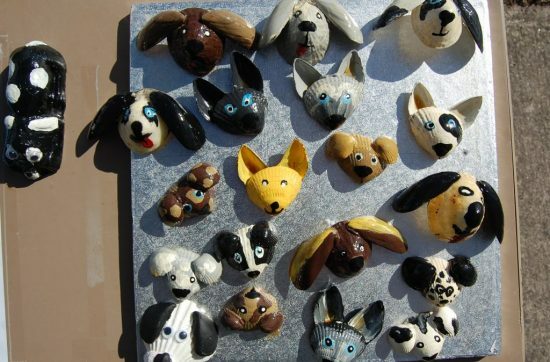 One parent sold daffodils outside of their home, and a crafty activity of making adorable dogs out of shells had both parents and students getting creative! 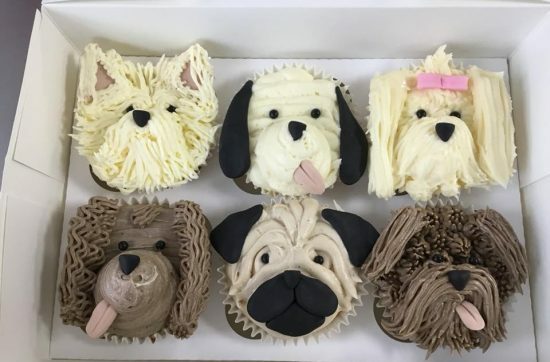 In addition to this, one parent created an incredible Canine Partners cake to be raffled along with a hamper and even more cakes baked by Beck Lock cakes that went up for auction. The auction raised an amazing £130 alone! 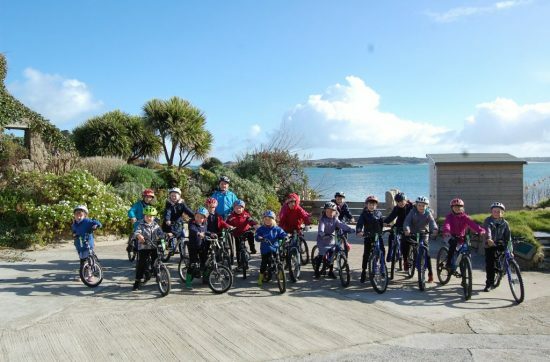 On Tuesday 20 March, 18 of the primary school’s students took on a 9-mile sponsored cycle around Tresco Island, gaining the attention of the local press with some very impressive coverage in the local paper and on the ITV West Country News! Their hard work and training during play and lunch times really paid off, helping to raise our profile and funds for their efforts. 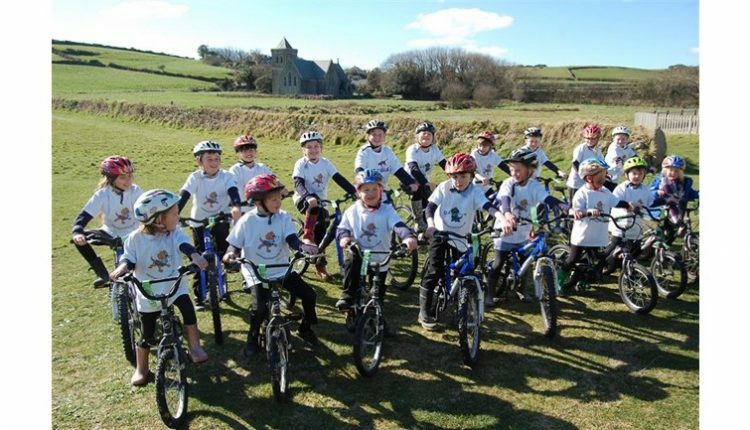 The fun wasn’t over there though – as an Easter Tea Party was held by the parents and children from Bryher on Wednesday 4 April. The children served tea and cake to all who attended. Over £400 was raised at the event taking their grand total to over £2,000! 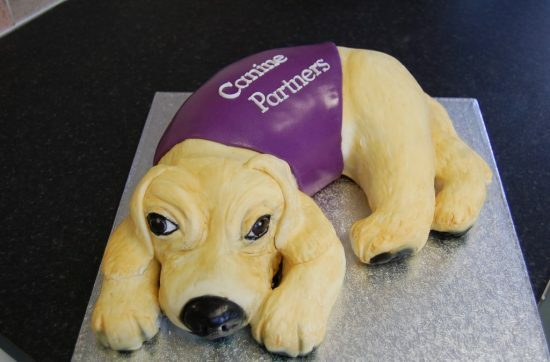 A huge thank you from everyone at Canine Partners for the hard work and dedication of all the pupils, parents and staff! With a population of just 90 people on the island where the school is based, over £2,000 raised is a truly amazing achievement. Check out the slideshow below for a selection of photos.